This article is 581 days old. The Town of LaSalle has announced this years volunteer recognition recipients. Each year, the community submits nomination forms to recognize members of the community. Council members review the nominations and choose a volunteer who stands out in each category. “We are proud to honour members of our community who donate their time and talents,” said Councillor Crystal Meloche. She is involved in the planning of LaSalle’s annual Volunteer Recognition Celebration. “This is our way of saying thank you,” she said. Dana Tonus had been devoted to helping the youth of our community by donating her time at local schools and sports organizations. For the last eight years, Dana has been a part of the Catholic School Advisory Council and is currently the Chairperson. She is also a member of the Catholic School Advisory Council at St. Thomas of Villanova High School. Dana is actively involved with the robotics teams at Holy Cross and Villanova. Dana has also coached and managed numerous soccer and baseball teams. Natalie Pallisco is a grade 12 student at St. Thomas of Villanova High School. Natalie is the Youth Development Champion for Canadian Blood Services at her school. She is responsible for organizing 2-3 blood drives per year and encouraging students and staff to donate. She also helps out with the badminton team, volleyball games and offers free tutoring in math and science. Natalie helps others so that they can reach their full potential. Natalie has spent more than 600 hours at Hotel-Dieu Grace Healthcare volunteering in the coffee bars. Maria Price joined the Rotary Club of LaSalle-Centennial three years ago. She stepped into the role of Treasurer, and became instrumental in ensuring the club’s fiscal responsibility. 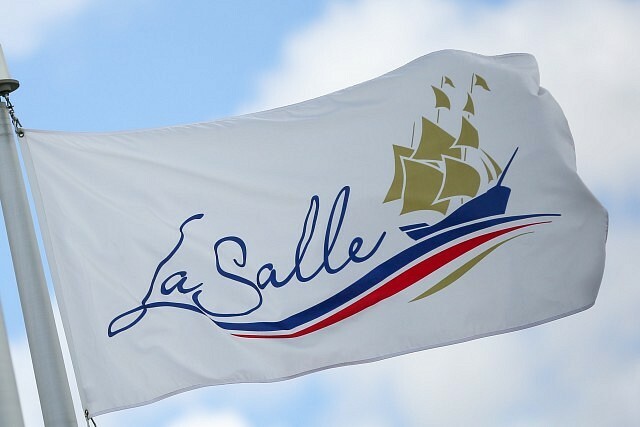 Maria has also been a key player in the planning of their annual movie night, held in partnership with the Town of LaSalle at the LaSalle Civic Centre. Maria initiated the electronic recycle drive that was held in LaSalle the last two years. Maria spearheaded the “Buddy Bench” program, and three Buddy Benches have been installed at LaSalle grade schools to promote peace and friendship. Joe Vaillancourt has been a member of the Society of St. Vincent de Paul for 47 years. He has also served on many boards at the local and provincial level. Joe is the Past Grand Knight of the Knights of Columbus Sacred Heart Council 9500. Joe works for the needs of the LaSalle community and beyond. The Volunteer Recognition Celebration will be held at the LaSalle Civic Centre on Friday, September 22nd at 7pm. There are a limited number of tickets available to attend, and they can be purchased at the finance counter on the first floor of the LaSalle Civic Centre for $25 each. Tickets must be purchased by Monday, September 18th.